Arrive Johannesburg Or Tambo Airport. 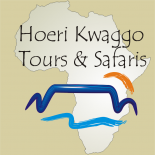 You will be met by your guide and depart directly to the Kruger National Park area. Overnight in hotel just outside of the Kruger Park. Enter the park early morning and do a game drive all day. Overnight in one of the many rest camps in the park. Full day game drive in the park or in an open vehicle with a game ranger. Full day game drive in the park. Option of a night game drive. Exit the park and drive to a private game lodge close to the Kruger National Park. Depart after breakfast and do the Panorama Route which includes the Three Rondavels / Blyde River Canyon, Bourke’s Luck Potholes, God’s Window and Pelgrims Rest. Drive back to Johannesburg via Pretoria where we do a short city tour. SOWETO Township tour during the morning and then departs for the OR Tambo International Airport from where the flight departs for Europe.